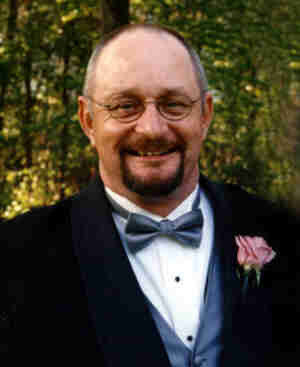 John "Jack" Speiker, age 51, of Faribault, at Abbott Northwestern Hospital, Minneapolis. prior to the services on Tuesday. 1955 in St. Paul. He graduated from Faribault Senior High School in 1974. He served in the U. S. Marine Corp from 1974 ­ 1978. On May 28, 1977 he married his soulmate and love of his life, Marcia Ring at Fourth Avenue United Methodist Church, Faribault. He attended the Faribault Area Vocational College. He was formerly employed by the Ryan Companies for 25 years, beginning as an apprentice carpenter and was promoted through the years to Field Superintendent. He was currently employed by Anderson Builders as a Superintendent and was constructing a new church in Woodbury. enjoyed mentoring the boys in camping and leadership. perseverance, self-control and indomitable spirit. donor for transplant and medical research. nieces; nephews; and other relatives and friends. We were so saddened to hear of Jack's passing. Jack was a gregarious man, full of life, and loved to share it with those around him. His contributions to the world of scouting are great, and he touched the lives of a great many boys. He will be missed. God grant you peace. My heart is sad to hear of Jack(John)—he’s too young to be gone. I always appreciated being comfortable talking with Jack. He truly loved life and he family. Marcia,Corrie,Noichlas,&Benjamin you were blest to have such a gift of love from him. You will be in my prayers.